Every now and then, I need a dose of money management wisdom. How about you? 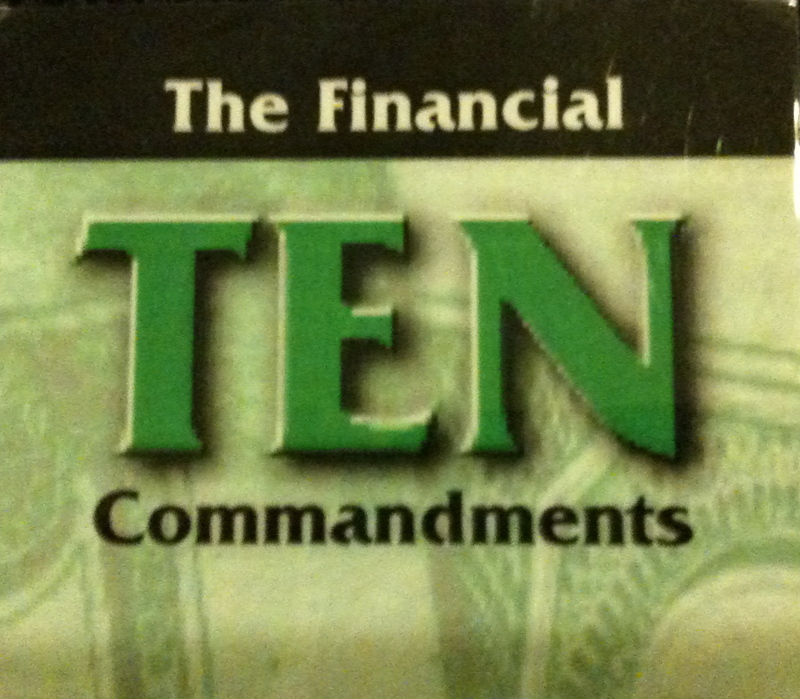 Here’s a list of “The Financial Ten Commandments,” taken from a message given by Bill Hybels at Willow Creek Community Church (located in the Chicago area) in January, 1999. I thought this list was interesting when you think of how our money decisions today will impact, for good or bad, our lifestyle design process, and our future lifestyle. Thou shalt establish a plan. Thou shalt avoid debt like the plague. Thou shalt distinguish between needs and wants. Thou shalt determine when enough is enough. Thou shalt not seek after get-rich-quick schemes. Thou shalt not compete with the Jones. Thou shalt not make major decisions without wise counsel. Thou shalt not corrupt your children with money. Thou shalt not orient your life around money. I can’t say that I disagree with any of these. But I can’t say that I’ve always lived by them, either. There’s a lot of wisdom here about maintaining balance in life, achieving financial freedom, living on-purpose, and the use of money as a tool, not an end-goal. What’s your take on it? Why is work-life balance important?